James, 50 years old, is originally from South Carolina. He moved to Baltimore at the age of 14 and started drinking to fit in. Then he saw others using heroin and thought they looked cool. From the time he was 18, he was stealing, lying, and his life was about drinking and drugs. In 2016, James was living in the woods in South Carolina and found out that his daughter had passed away. He was supposed to come to Maryland to help with his grandchildren, but did not. He recalls, “I couldn’t come right away because I was too wrapped up into using and drinking, just not doing the right things.” He was hoping to get sober on his own and then come to Baltimore, but kept going back to the familiar and kept using. A couple of months later, his granddaughter was about to be put in foster care, so he decided to come to Maryland. A friend tried to help get him into treatment and offered to help pay for the trip. Once he was able, James felt determined to come to Baltimore to see his granddaughter. When he got off the train, James had a seizure and ended up at the University of Maryland hospital. There, someone told him about Helping Up Mission, which at the time, did not interest him. He explains, “This addiction was beating at me. I felt like I just couldn’t function, I couldn’t be normal unless I had something in me.” So, the next morning, he went to the liquor store and then found a familiar spot under a bridge. That night he had another seizure and was back in the hospital. The guys all helped make sure he was okay and got him what he needed. He explains, “They kind of made me feel comfortable.” He admits that he was going through some insecurity problems and wasn’t very patient. He was about to leave when one of the guys encouraged him to give it a chance. “Ever since then, I just dug in, I dug in deep.” When he didn’t believe he could do it, his friend told him just to give it until tomorrow. James points out that his friend Jeffery is his special angel because he would not give up on James. Once he started going to the classes and met with his counselor, James began to feel comfortable. The counselor helped him with his grief over losing his daughter and encouraged him to trust people again after the stabbing. James has a new life and is renewing his relationships. He has a job working in a warehouse and enjoys it. James also has a place of his own and is ready to make a home for his family. 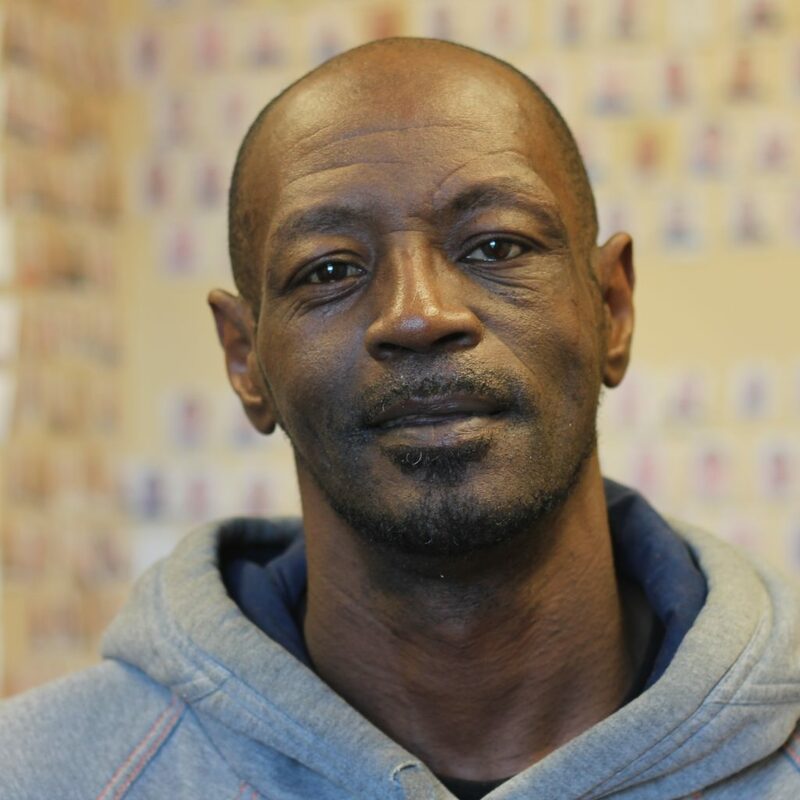 He shares, “I never thought I would be where I am at now.” James is also thankful that his family never stopped believing in him and explains, “Now today…they are always saying, ‘You are back to yourself.’” Thanks to you, James has a chance at a fresh start.